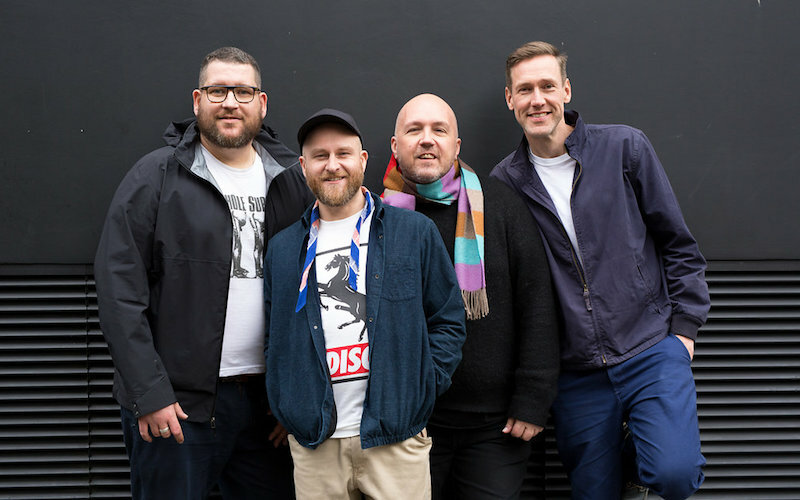 Returning for their third year at GALA, Horse Meat Disco are well and truly woven into the fabric of the festival. As South London’s most treasured collective of disco freaks, they’ve been setting dancefloors alight for over 15 years from their weekly Sunday nights at The Eagle in Vauxhall to parties in every corner of the globe. We took a minute to catch up with Jim Stanton to find out how the year is shaping up for the widely adored DJs. 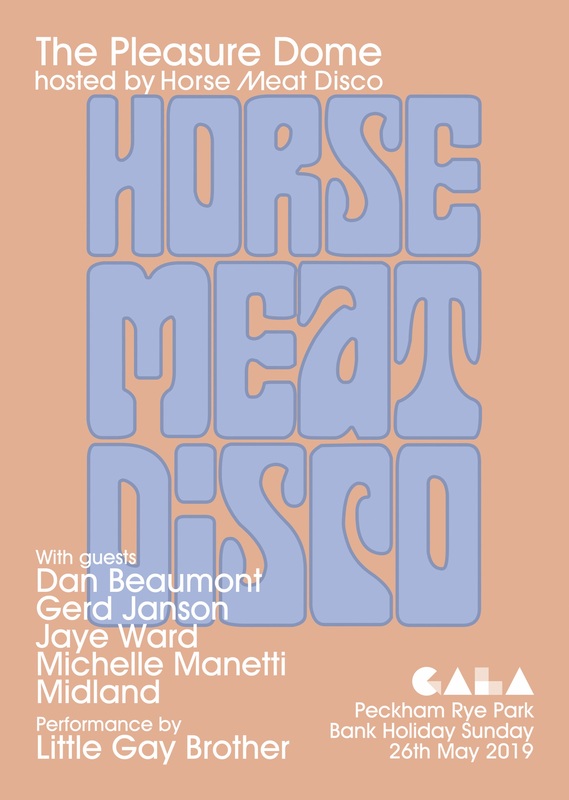 2019 seems to already be another fiercely busy year for Horse Meat Disco. What have been the highlights so far? We’ve been playing gigs all over already this year. I’ve just got back from a great run of shows in the US. The highlights are every time we see people just losing it during our sets. We’re four diverse DJs at Horse Meat Disco and we’ve got a lot to give! A majorly exciting piece of news is that we just signed a record deal with Glitterbox Recordings and we’re working with the best in the business, the mighty Luke Solomon. Sunday nights at The Eagle in Vauxhall have been your South London bedrock for 15 years. How important is that anchor point to you guys when you’re collectively jetting off for gigs on a regular basis? I think the whole reason we’re still here at 15 years, every week, and stronger than ever, is that we’ve always had an egalitarian approach to nightlife. That’s what we’re inspired by, and that’s what we’ve tried to offer ever since day one, when we started a night just so we could hear our records on a sound system! Kindness is Horse Meat Disco’s original M.O. and everyone is welcome. Because of its intimate size, it’s like an exclusive club, but it’s so important to us that it’s completely inclusive. We always try to send people home safely. The owners Mark and Ian have worked with us as family from the very start to make Horse Meat Disco at The Eagle our London home. That’s why it’s special – we’re all part of the family. You guys are of course rooted in disco, but there’s a lot of different ways to approach that sound. Do you have an understanding between you all of what fits the Horse Meat aesthetic and what doesn’t? We love all kinds of music, new and old, and disco has infected so many different subcultures and styles since its heyday in the ‘70s, so the options are pretty open for us. We play music that makes people want to dance, and I think it’s as simple as that to begin with. All four of us have our own ways of presenting disco music. Are there any times you’ve taken a risk and played a track that completely bombed? Can some tracks work beautifully in one spot but totally fail in another? Part of being a DJ is being sensitive to the situation and judging what the party needs at any given moment, but obviously sometimes you can get it spectacularly right or wrong. I played The Doors’ “LA Woman” at Love International a few years back to huge applause, but then if I were to play that record in rainy London I’d have to work a lot harder to contextualise it within the set! How does it differ playing at The Eagle compared to in a club you’ve never appeared at before? Playing at The Eagle is the key to everything for us. We have our home crowd who are always receptive to new sounds as well as living for all the jams and classics. It’s a completely different headspace to playing elsewhere because we know we have the freedom and support of the crowd to test things out and go that bit deeper. Are there many clubs in other parts of the world where you feel like you’re at home? We’re always in New York – after having a fantastic run at Output until it sadly had to close, we’re now at Elsewhere club in Bushwick, which feels like a logical progression. I love the The Berkeley Suite in Glasgow – those guys are family – and World Headquarters in Newcastle. All those places make me feel instantly at home. You’ve been a part of GALA festival for a few years now – what have been your impressions of the festival as it’s grown over that time? Like the best parties, GALA is one of those events where you leave all your baggage, all the stuff going on in your life, behind you at the gates. That’s always what we’re trying to encourage with Horse Meat Disco, so it’s amazing that we’re continuing to work with Giles and Jonny in an even bigger and better space this year with all our awesome pals on board. Considering you’re veterans of all manner of festivals at home and abroad, how do you think GALA fits into the broader London and UK festival landscape? I think it offers a kind of community feel. That’s probably in part due to its size – it’s not as crazily big as other festivals, which I like. It makes it feel like a safe, happy place. The emphasis seems to be about kindness and good times, and like I said before, that’s what we’re all about. 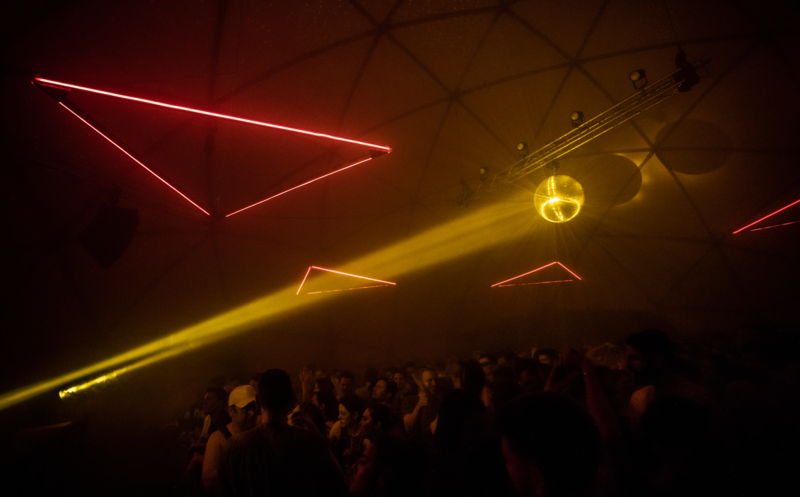 You’ve got a strong cast of selectors joining you at The Pleasure Dome. How much history do you have with those DJs, and what makes them a natural fit for a Horse Meat party? We know all those guys really well, and they’re all astonishingly good DJs. That might seem obvious, but we certainly wouldn’t choose them to join us if they weren’t! We’ve played with all of them either on the same event line-up, or at Horse Meat Disco itself, and you’re in for a wild ride, trust me.